1 , GH-FH series Low-Frequency Heating System is designed to heat a large transformer or up to two small transformers, transformers placed in hot air circulation vacuum drying chamber, through the high-voltage side of the transformer through low-frequency current, and transformer low voltage side of the short circuit is rely on the internal heat generated by the transformer short losses to their own heating, low-frequency heating control by heating to achieve. 2 ,Low-Frequency Heating control power supply: The control mainly consists of local station control unit and local station including frequency conversion circuit and detection unit. 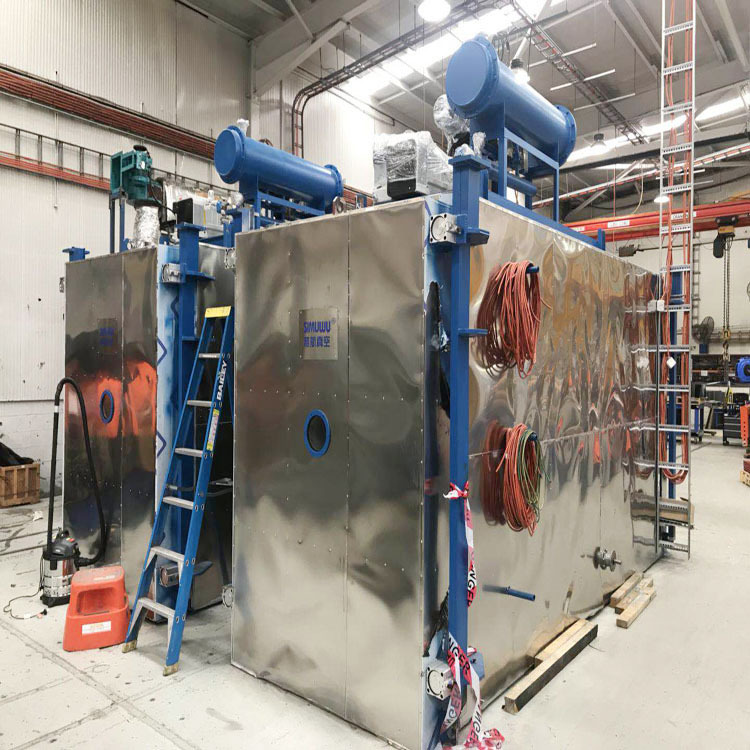 It is equipped with control cabinet and connected with main control of hot-air circulation vacuum drying equipment and incorporated into computer control. The device is designed to heat up to 800A and operate over a variable voltage range.